Choose from a rainbow of colours of seasonal fruit. Depending on the type of fruit, you can serve whole (e.g. apples and plums) or cut into bite size pieces (easier for younger children to eat) or mix fruit together to make up a fruit salad. 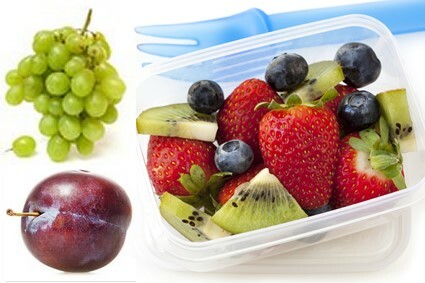 Make sure that any fruit that is eaten with the peel on is washed thoroughly before eating.